Online social networks expose their users to privacy leakage risks. To measure the risk, privacy scores can be computed to quantify the users’ profile exposure according to their privacy preferences or attitude. However, user privacy can be also influenced by external factors (e.g., the relative risk of the network, the position of the user within the social graph), but state-of-the-art scores do not consider such properties adequately. We define a network-aware privacy score that improves the measurement of user privacy risk according to the characteristics of the network. We assume that users that lie in an unsafe portion of the network are more at risk than users that are mostly surrounded by privacy-aware friends. 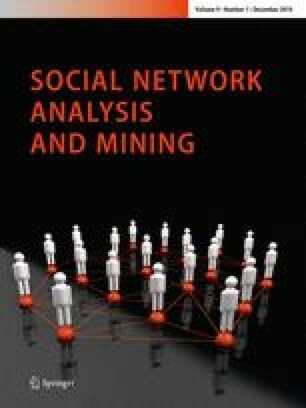 The effectiveness of our measure is analyzed by means of extensive experiments on two simulated networks and a large graph of real social network users. The online version of this article ( https://doi.org/10.1007/s13278-019-0558-x) contains supplementary material, which is available to authorized users. This work is supported by Fondazione CRT (Grant Numbers 2015-1638 and 2017-2323). The authors wish to thank the anonymous reviewers for their valuable comments and all the volunteers who participated in the survey.